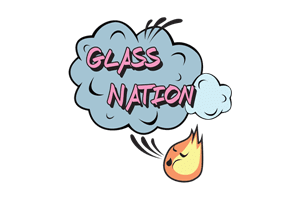 Glass Nation carries a wide selection of the best e-nails online. Firstly, you shouldn’t have to worry about your concentrates getting heated up to some unknown temperature with a torch. Additionally, when you use a torch its anybodies best guess what the temperature of the nail or quartz banger is. With an electronic nail it is easy to use a digital dial to set in your exact temperature requirements. Don’t settle for the fowl smell of leaking butane. Also, electronic nails are far superior to using a butane torch mainly because you can’t burn things, its safer, and you can set the exact temperature. So, take a moment and browse our awesome selection. Our e-nails come with the maximum number of attachments possible including, ceramic, titanium, quartz, as well as hybrid nail combinations. Furthermore, every electronic nail that Glass Nation brings on board is quality tested to insure only the best makes it to our customers.